What’s Raising Your Blood Pressure? Your blood pressure reading can be affected by a number of things — foods, medications, the number on the scale, your boss’s latest email and more. To make things even trickier, high blood pressure usually doesn’t cause any symptoms. However, it can cause huge health problems like stroke, kidney failure and heart attack. Keep in mind that the ideal range of < 120 / 80 might not be realistic for you due to your age or exisiting medical conditions. Your doctor can work with you to figure out what’s right for your situation. But whether your levels are running high or not, you can stay heart smart by steering clear of these blood pressure offenders. 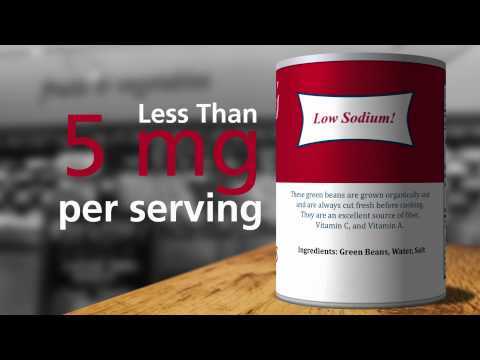 It’s no secret that a high sodium diet can cause your blood pressure to go up. But did you know that you’re at greater risk if you’re overweight, over 50 or have diabetes or kidney disease? The American Heart Association recommends limiting salt intake to 2,300 milligrams per day and less than 1,500 mg if you already have high blood pressure. The Fix: Most of the sodium in your diet probably isn’t coming from the salt shaker — it’s hiding in processed and packaged foods and your restaurant entrée. Think: Soups, lunchmeat, cheese, salad dressings, bread, pasta dishes and more. 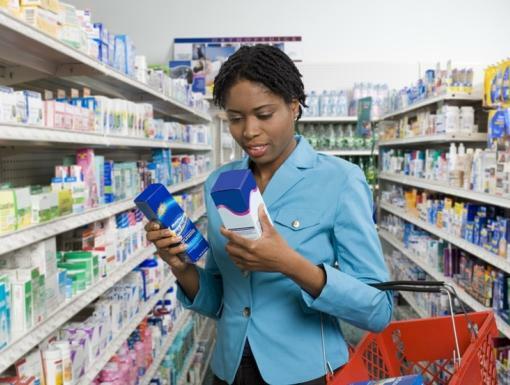 Avoid salt bombs by checking labels as you shop. Different brands can have different amounts of sodium, so choose wisely. When cooking at home, you can cut the salt by up to 40 percent by simply draining and rinsing canned beans and vegetables. Dining out? Look for steamed, grilled or poached dishes, which are usually lower in salt. It’s easy to be confused about how alcohol affects heart health. After all, isn’t red wine supposed to be good for your heart? As with most things, moderation is key. By limiting the number of drinks you have, you can help prevent high blood pressure in the future. The Fix: If you drink, stay within the recommended amount. That’s two drinks or less a day for men and one or less for women. Looking to cut back? Make a plan for the week that outlines how much you’ll drink and on which days. And when you really want something to sip, try pouring yourself a nonalcoholic drink (a LaCroix Key Lime, perhaps?) in a fancy glass so it feels special. Learn more about Ochsner's new approach to treating high blood pressure through the Hypertension Digital Medicine Program. Carrying around extra pounds has been linked to a whole host of nasty health risks, including some cancers, kidney disease, diabetes and — you guessed it — high blood pressure. That’s because when you’re overweight, your heart has to pump harder to circulate blood throughout your body. The Fix: Losing just five to 10 pounds can help bring down your blood pressure. To help get the scale (and your blood pressure levels) moving in a healthy direction, skip the fad diets and rely on the tried-and-true formula of moving more and making smart food choices. The goal is to make lifestyle changes that are easy to stick with in the long-term. Unfortunately, blood pressure has a tendency to rise as you get older. In fact, roughly 65 percent of Americans over 60 have high blood pressure levels. And while you can’t control your age, you can be aware of the risk to your health. The Fix: If you avoid your annual physical like the plague, now’s the time to stop. 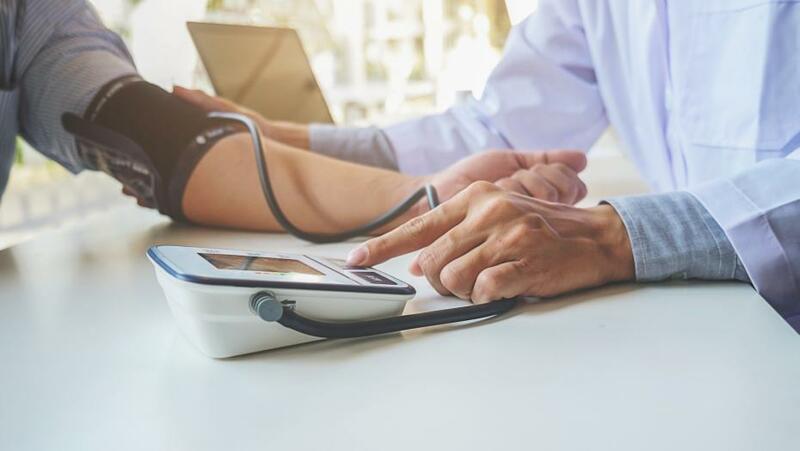 Since high blood pressure doesn’t usually cause any symptoms, you won’t know yours is elevated until you get it checked — and on a consistent basis. If you’re 40 or older, get yours tested every year — it’s painless!